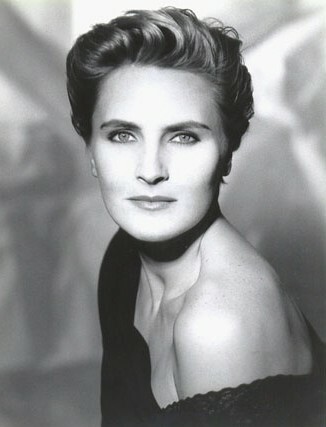 The Horror Honeys: Horror Interview: Denise Crosby wants you to be WEIRD. 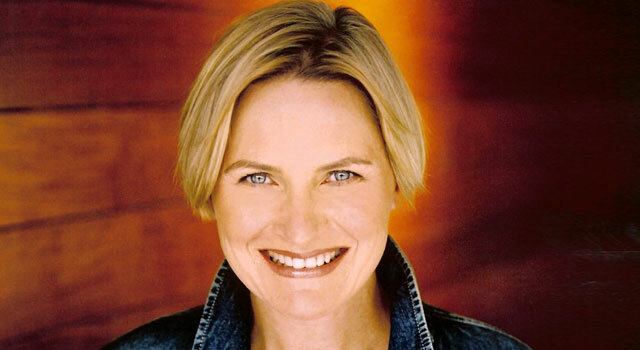 Horror Interview: Denise Crosby wants you to be WEIRD. 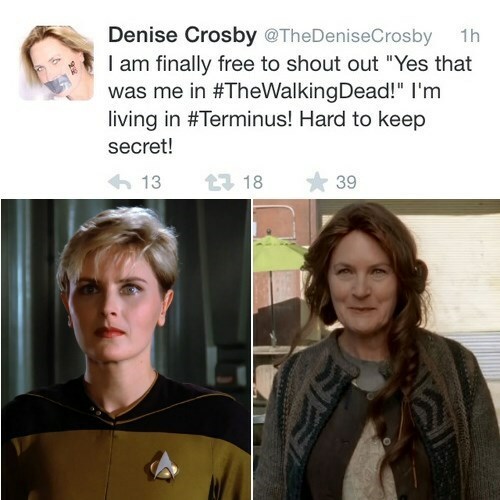 Let's be real for a minute: As the kickass Tasha Yar from Star Trek: The Next Generation, Denise Crosby is one of my original girl-crushes. Her tar-pit death is also one of my original nightmares. Those of you who might not be into sci-fi, but love your zombies will remember her as Mary from Terminus at the end of Season 4 of The Walking Dead. Ahead of her appearance at WALKER STALKER CON in Atlanta, Denise took much more time than I ever expected to chat with me about everything from being a lifelong horror fan, to her newfound popularity with her son's friends. I may have fangirled a little hard. No shame. Before you started on The Walking Dead, I know that you binge-watched the first few seasons to prepare to come to set. What is your favourite story arc so far- other than your own, obviously. Oh my gosh, I really liked the whole sequence at the farm. I know it wasn't as action driven but I was really starting to get to know everyone in that season, and it was really interesting that they stayed put in this bucolic setting with all of this going on in the world, it was such a wonderful contrast, and it was really the time when I started to get to know who these people were and I really enjoyed that part of it. You kind of lose a little bit of yourself anytime anyone dies, and I think being a mother, when Carol's daughter, Sofia, came out of the barn, that was a tough one for me. I felt so much for this woman and what she had been through, and I just can't imagine having lost everything including your life and your husband and now to lose the one thing that was keeping you grounded, I thought she was going to go insane. I really like her (Melissa McBride) as an actress and a person, and that was pretty harsh. "Can't I get on the show earlier so I can kill the governor? He's a freak!" At the same time, that whole community that the governor had set up, that was one of the creepiest things I've ever seen. That was beyond bizarre, I mean how they just kept this town going and how insane he was. I actually couldn't wait for him to die. I was going to jump through the screen and kill him myself. On having a 16 year old and her new-found Walking Dead "cred"
I have a lot of coolness now with his friends. 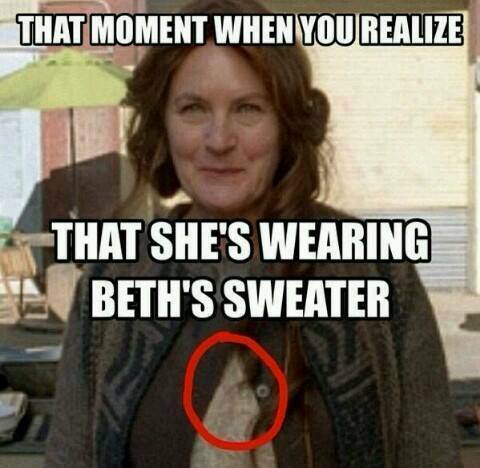 Suddenly it's like I'm the STAR on the baseball field "Oh my GOD Mrs Crosby, you're on The Walking Dead! "- nobody would even talk to me before…it's so funny. I'll never forget seeing The Exorcist as a kid, I waited of hours in the rain to see it with a girlfriend, and I MADE her spend the night. I remember driving home, and the glove compartment door popped open as we were driving, just randomly, and we screamed and almost drove off the road. It was so perfect. I will never forget that. Tell me a little bit about your relationship with Mary, she's an original character created just for the TV series. Have you made up any backstory for her? You're going to find that as the season begins these moral conflicts will come out, this real determined, soulful woman that she is. This is the beauty of how Scott Gimple writes, he goes for these very deep, layered, human obstacles that they're up against, and the stories we tell ourselves to make the world seem right. It was an interesting process because so little is revealed to you as you're coming to the show and between seasons because they're so protective of everything- I had to really sit down with Scott and have him talk to me at length about Mary and about Terminus, and about what it all really means. *interject* I love how creepy and calm, yet welcoming she is.. I didn't realize how well I was acting that, but that seems to be the general consensus, and that's what I was going for - just a genuine welcoming, but what is she NOT saying, and that was there. How does it feel to be part of not one but TWO shows with such a rabid fan base? OH MY GOD. What a blessing, I'm just SO grateful. I've reached nerd-platinum status now. It's unbelievable. Who knew? The Walking Dead is so current, and Star Trek fans are so passionate about it. It really is one of those shows that's timeless. When you're lucky enough to come into a show like The Walking Dead, it's just such a great gift to stay current and stay topical, and it was so fun to come in to the show - and a lot the producers and creators of the show were all trekkies. Scott Gimple told me that on the day the documentary I produced, Trekkies, came out, he ran to the theatre to see it. We're all just a very happy geeky family here. I know that you're involved in the documentary being made about Pet Sematary, called Unearthed and Untold and I'd love to get your thoughts on the documentary and why you decided to get on board. The first person that made me aware of the doc was Brad Greenquist who plays Pascow in the film, and he and I have remained good friends through all this time, and they first approached HIM and with Brad signing off on how good they were and how lovely they were and how much information they had put together, I decided to give them a call. I was SO impressed by them, just their thoroughness and their research and their attention to detail and they knew much more about all of this than I did. We met somewhere back east, and I think we were all at a Pet Sematary reunion and did interviews [along with Dale Midkiff and Miko Hughes]. I came back to LA and sang their praises to Mary Lambert (the director of Pet Sematary) and then she felt confident enough to talk to them. I know it's almost finished, and I'm looking forward to seeing it in November. 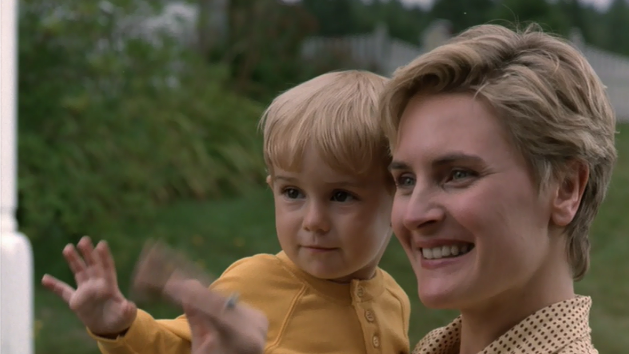 It's timely too, I think people are re-discovering Pet Sematary, and I hope it gets the recognition it deserves, especially Mary. I'm kinda hoping that it (the remake) has gone away, I think that had the remake of Carrie had done better, it might be more likely. You cannot get anyone to play Judd Crandall better than Fred Gwynne. Put it to REST. Get fresh ideas, and make NEW movies. "You know how Hollywood works, they're all just lemmings following each other off the cliff. " You've been extremely active in the convention circuit in the past few years - what was your best experience? There's always a little nugget of gold in each one of these, someone will say something or somebody will give me a hug and say "watching your show got me through a really critical time in my life, and it just happened that I stumbled upon it and it was just what I needed to see and hear." And at the same time there's always some funny guy who will come up and say "OMG I had the biggest crush on you," I had a guy come up to me in LV recently "could we just be friends, just talk and chat, and I know you're married so that might be a problem…"
One I have to tell you about... We were at a Star Trek reunion event, and they open up the event for questions, and this young man in a wheelchair came up to the mic, and he says with a very emotionally cracking voice: "I just wanted to tell you all how much I love you and how much your work has meant to me." He had been in Iraq, and he had been a medic, and he went in with his unit, and one of his troops opened the refrigerator in this abandoned house, and it was loaded with bombs and just blew everyone to pieces. He being the medic of course, he crawled over to everyone he could and jabbed them with morphine vials, and staunched the bleeding, and then looked down and realized that he had no legs. After 150 surgeries, he survived, and in the moments of his greatest despair, he would put on The Next Generation, and whatever it was that spoke to him, got him to get off of himself and think about a higher cause, a better world a bigger universe and that we're all just little specks in it. And if we could do one thing that could help somebody, that was the most important thing. We. Were. Flattened. We all got off that stage and just held him. He was sobbing, we were sobbing. There wasn't a dry eye in the house. He called himself "Feet," and we still talk about him, I'll never forget it. That's when you realize that there's a resonance and a responsibility that you don't always know because you have a screen in front of you and you don't know how you're affecting people, you're just doing your job. But it's big, it's really big. There are a LOT of people and these conventions are a wonderful coming together for people to feel bonded and a part of something, it's more than buy the latest comic book or action figure, I think it really speaks to a deeper connection and a fellowship. One thing Denise has taken away from her convention experiences is a message for everyone, and it's perfect. "We're ALL weird, so no one is weird."